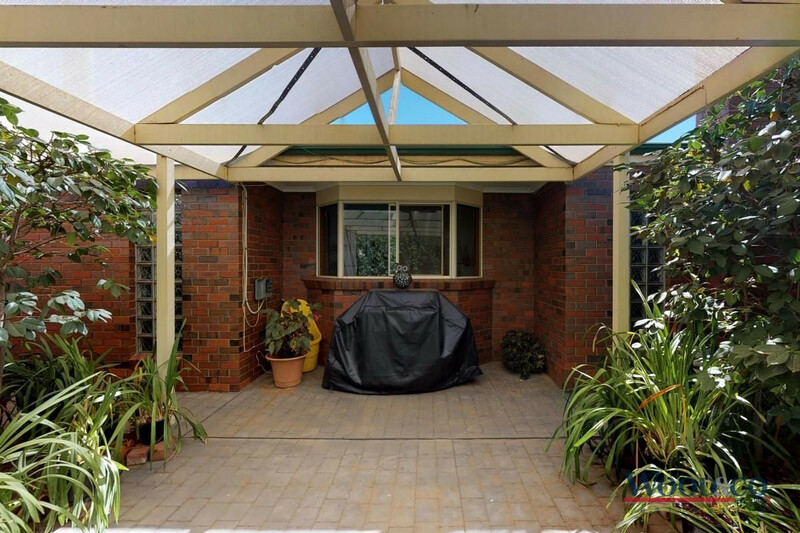 You’ll have plenty of time and reason to enjoy the stunning gardens in this delightful Parkview Drive residence. 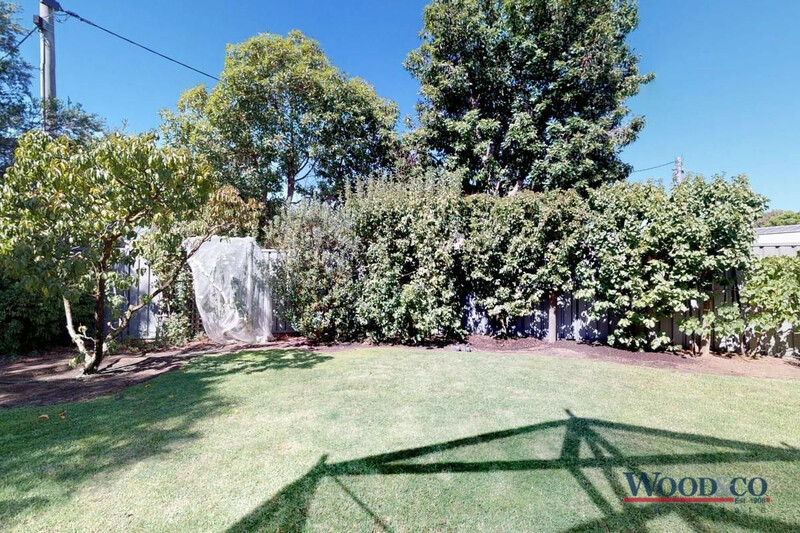 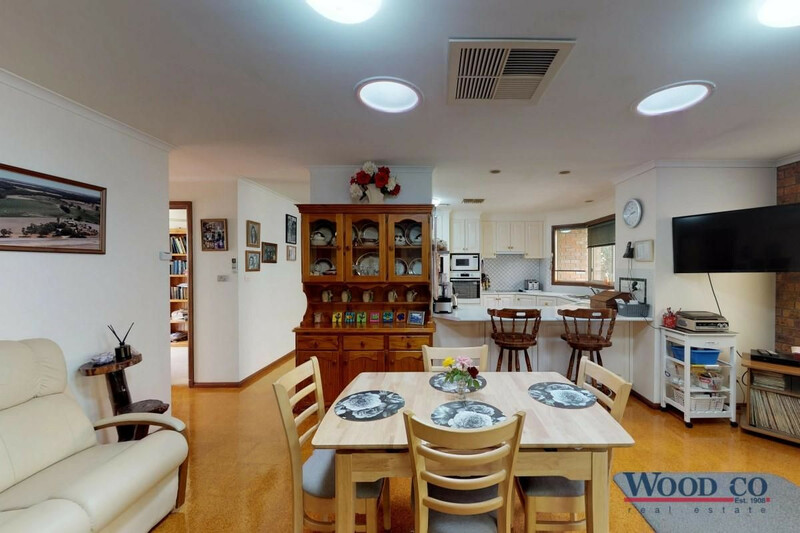 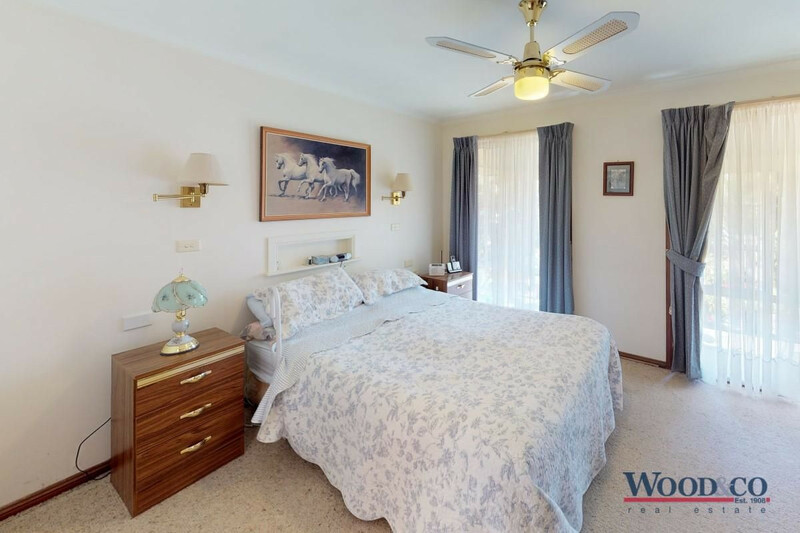 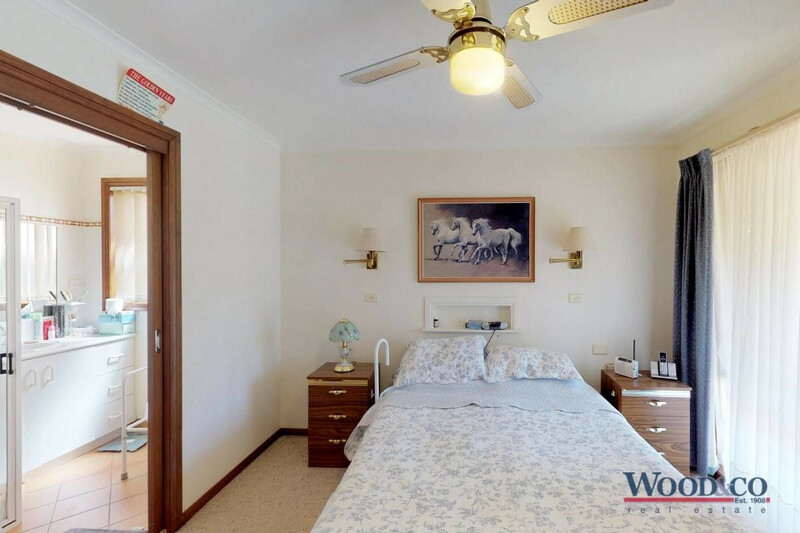 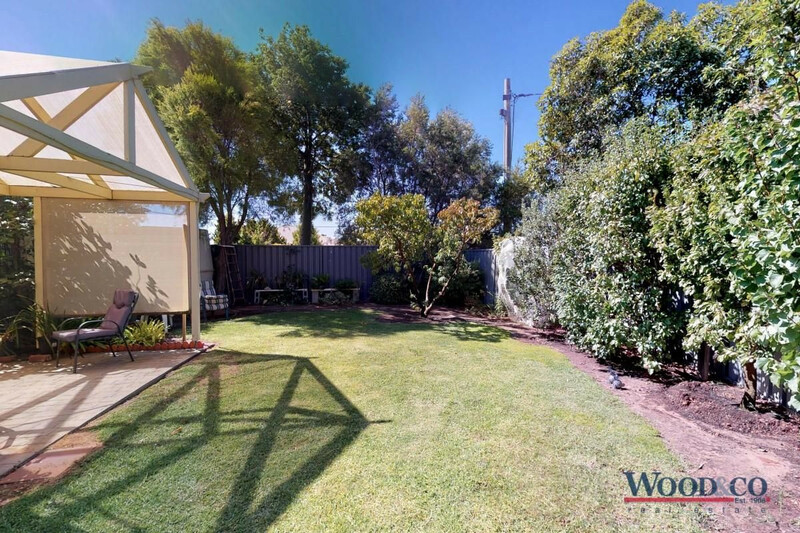 Adjoining Norton Park to the west and Holland Court to the east, the home enjoys wonderful privacy in this popular, treed-lined street. 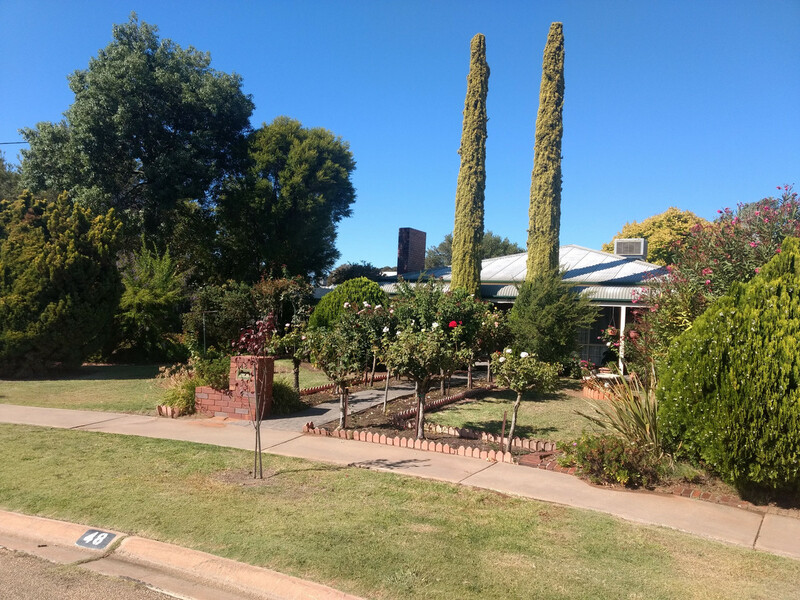 Lined with roses, the front path will lead you beneath the bullnose veranda to the leadlight feature front door – a fitting entry to this quality residence. 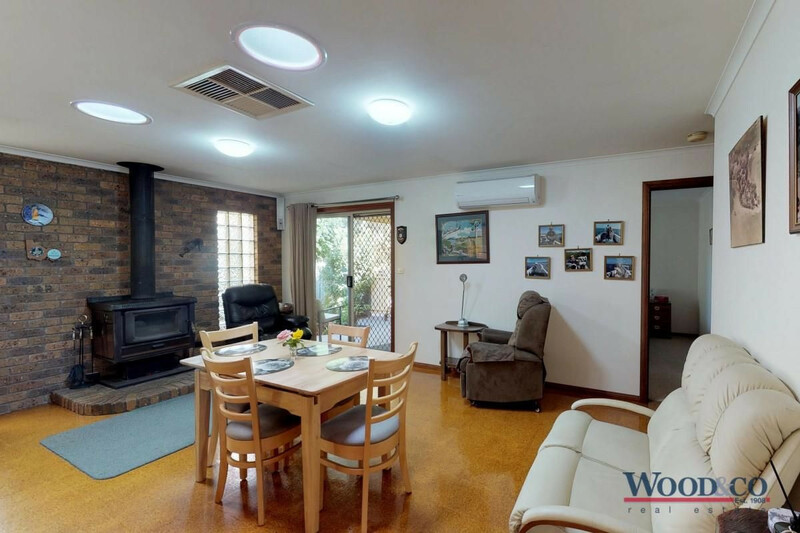 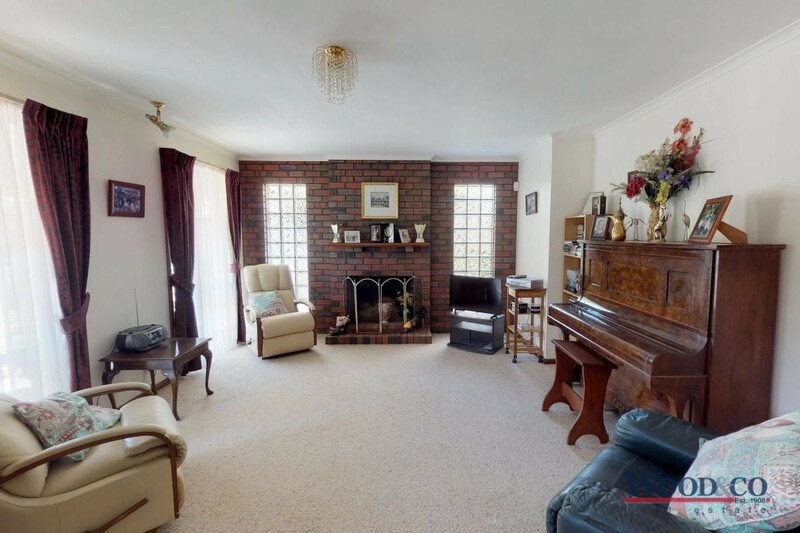 Winter nights can be enjoyed warming your toes in front of the open fire place in the formal lounge room or if you forget chop the wood, you can simply turn on the reverse-cycle air conditioner in the living room. 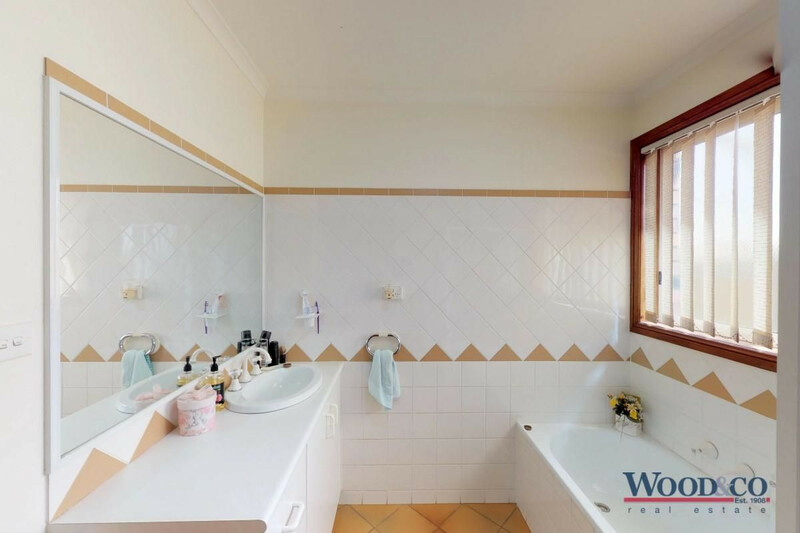 With a walk-in robe and en-suite, the master bedroom is bathed in natural light and the family bathroom gives you the choice between a nice hot shower or a relaxing bath. 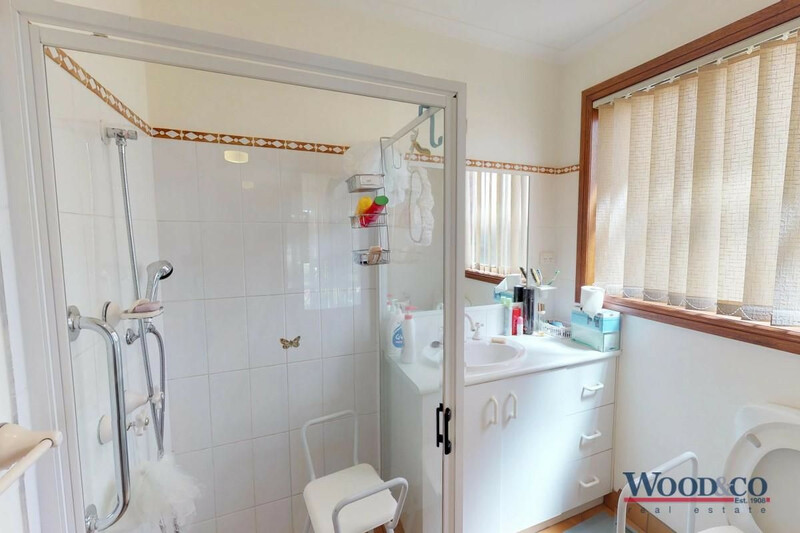 A separate toilet means there’ll be no waiting during the morning rush. 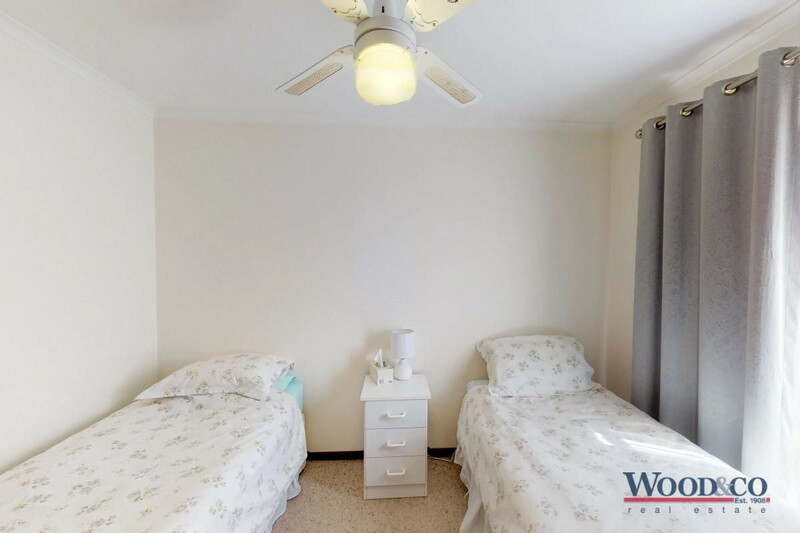 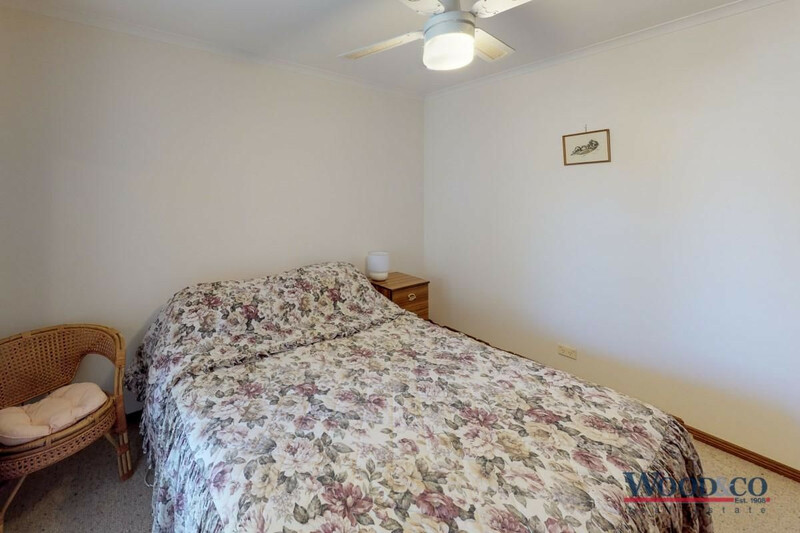 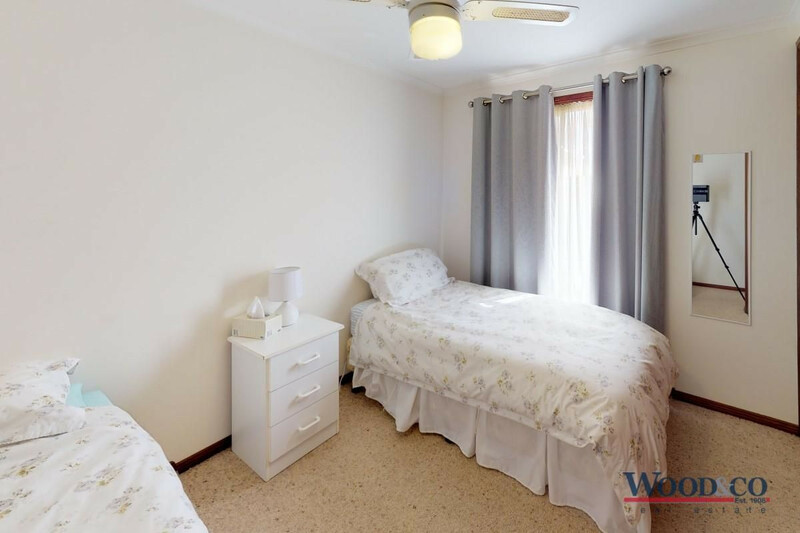 Bedrooms 2 & 3 are conveniently located close to the family bathroom and fitted with built-in robes and ceiling fans for extra comfort and the separate study is a real bonus. 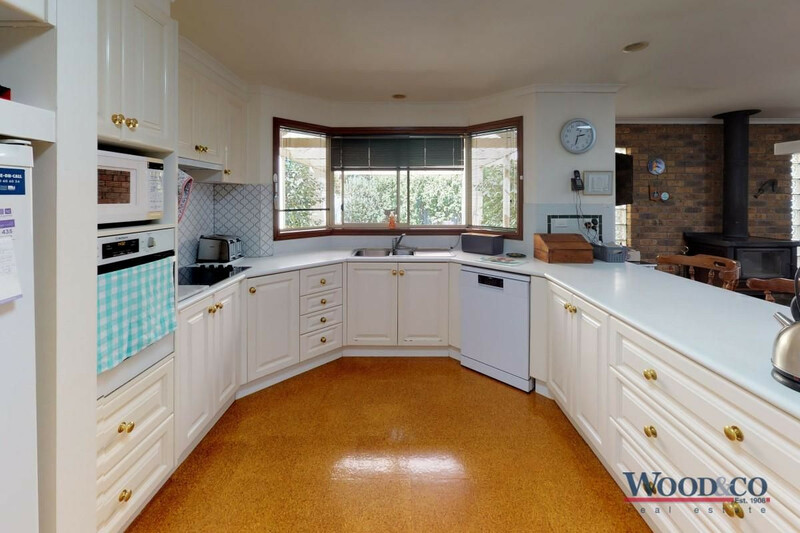 Meal preparation will be a joy in the modern, well-appointed kitchen with large bench tops, electric cooktop and wall oven all bathed in light from the wide bay-window. 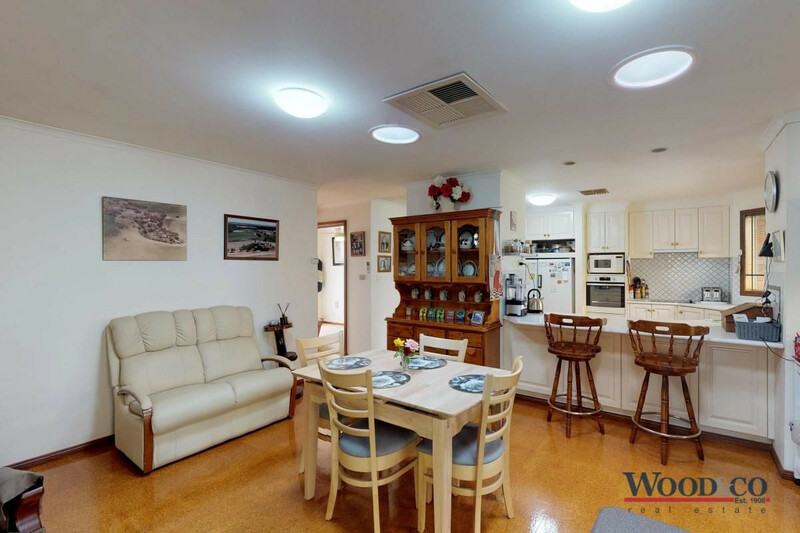 Family activity will flow easily from the bright kitchen to the open plan dining and living areas with a large wood heater. 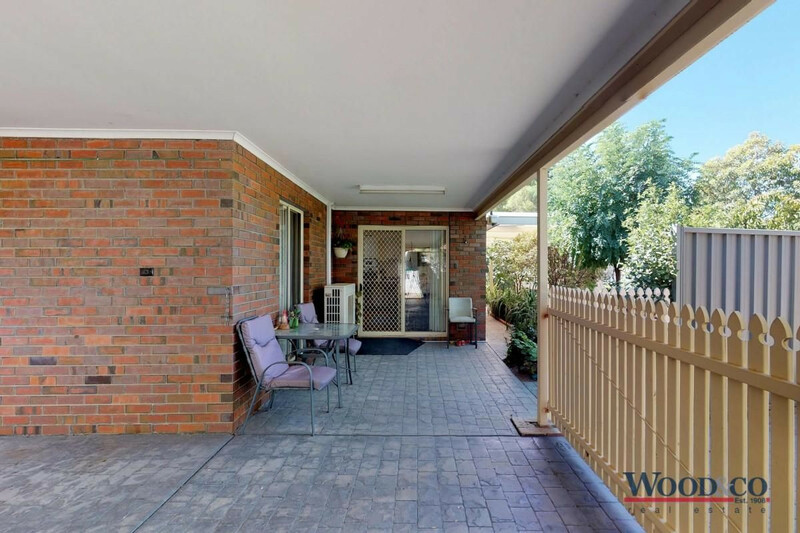 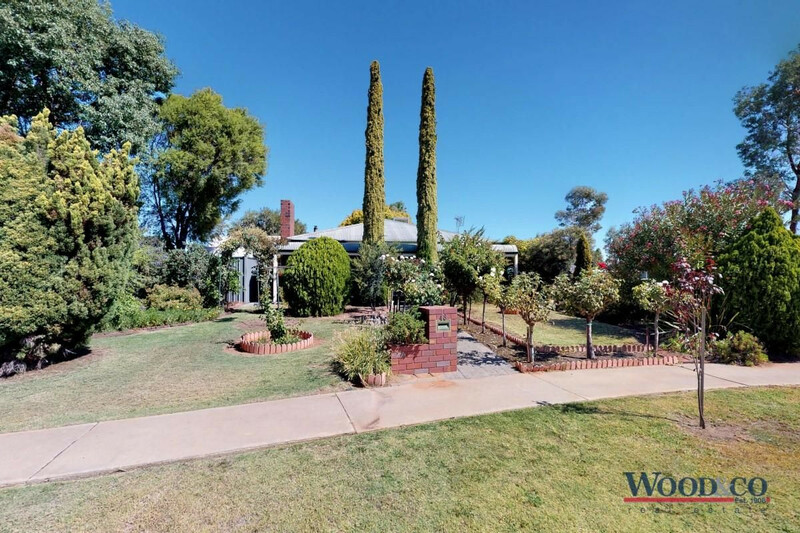 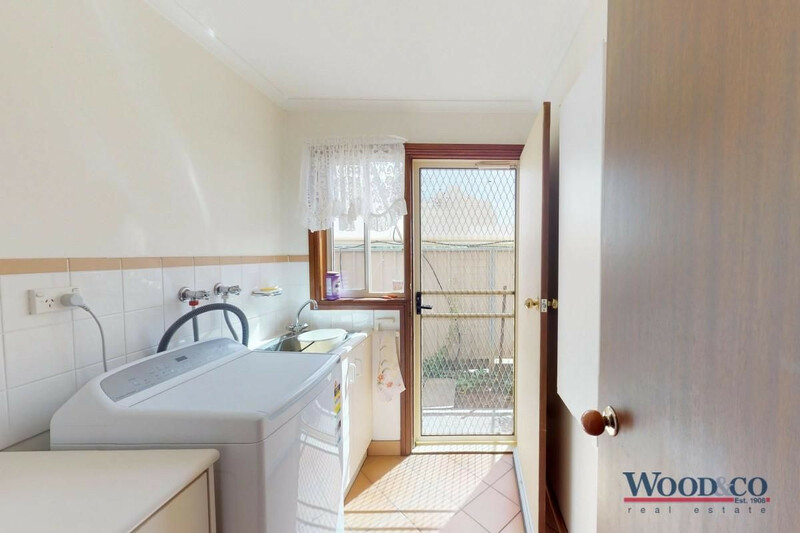 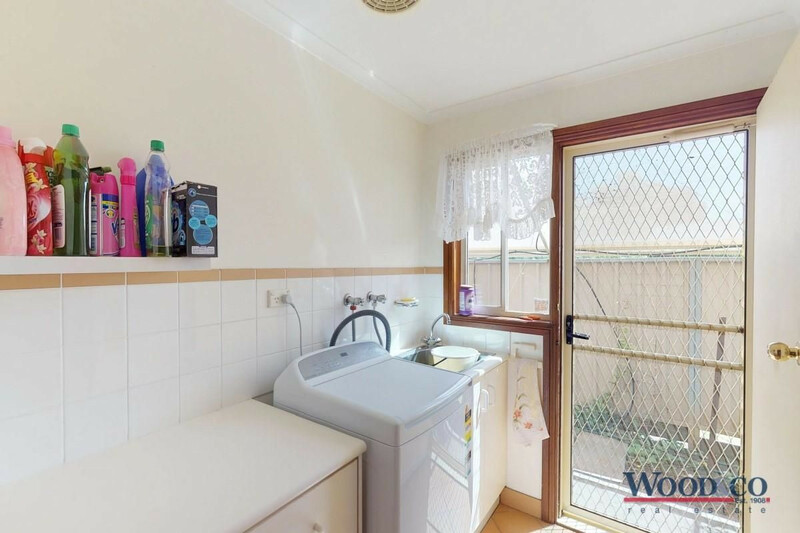 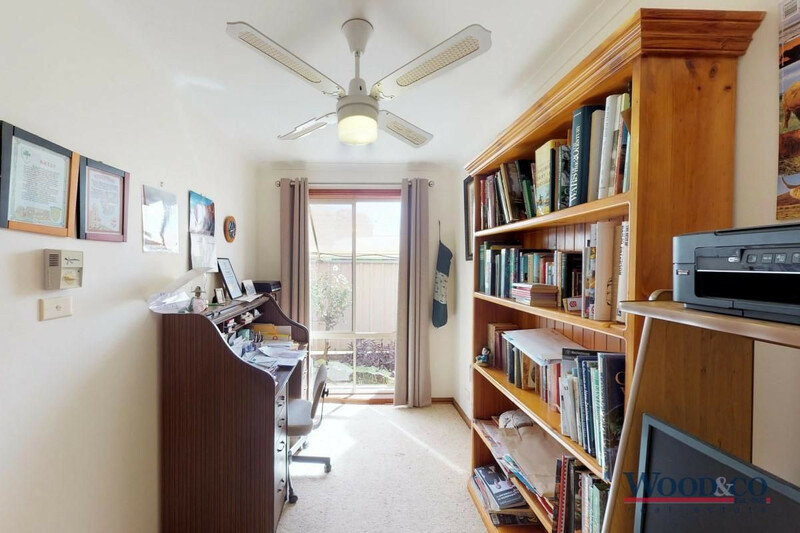 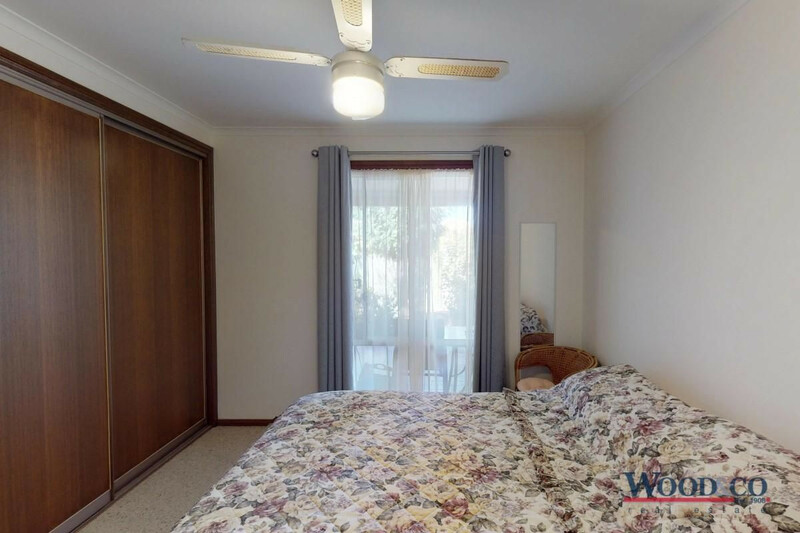 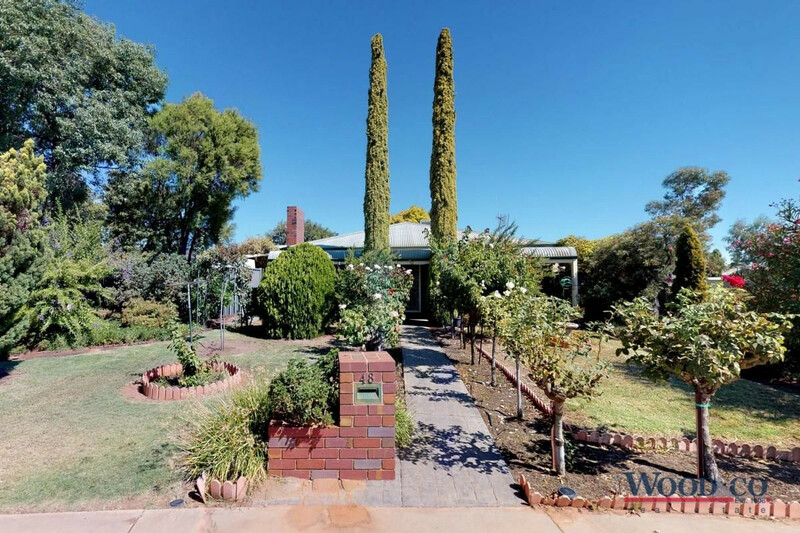 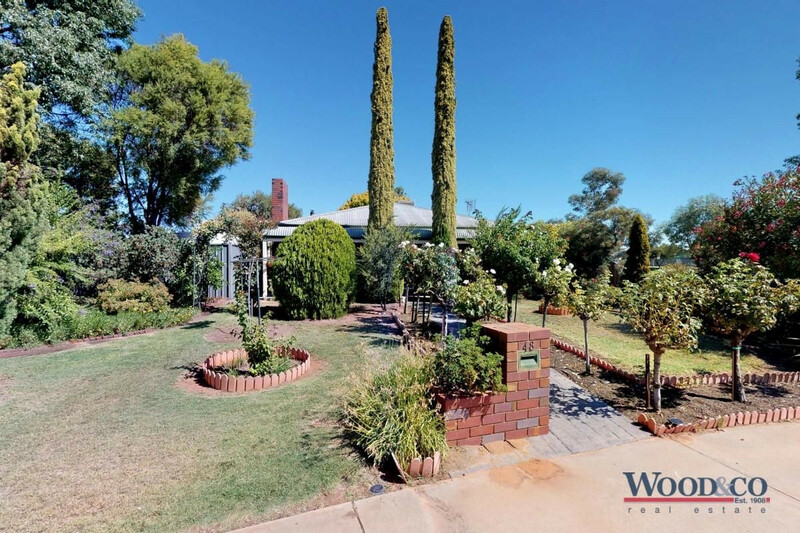 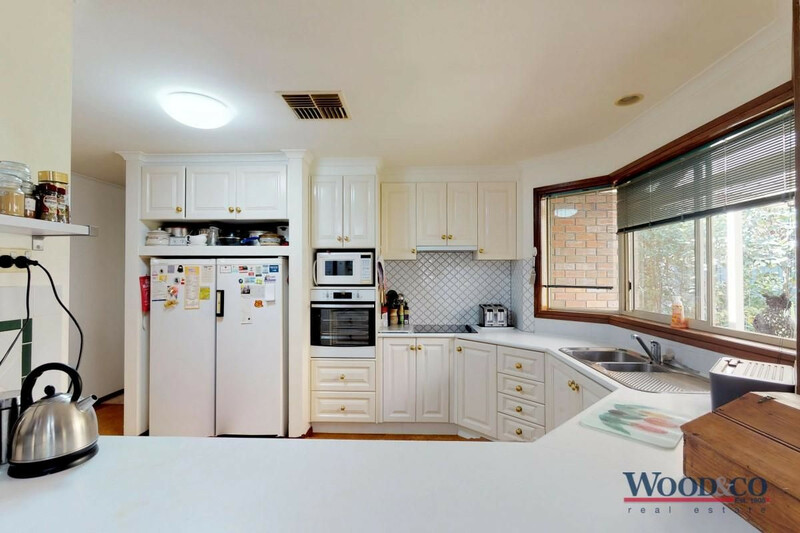 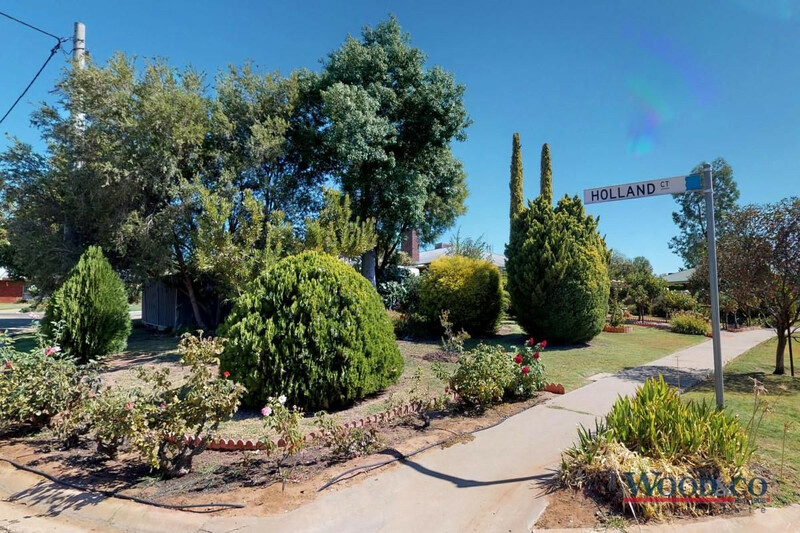 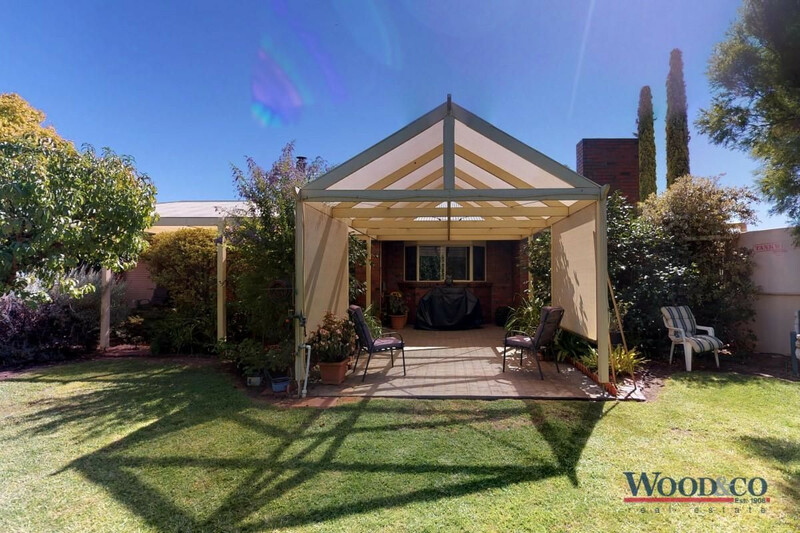 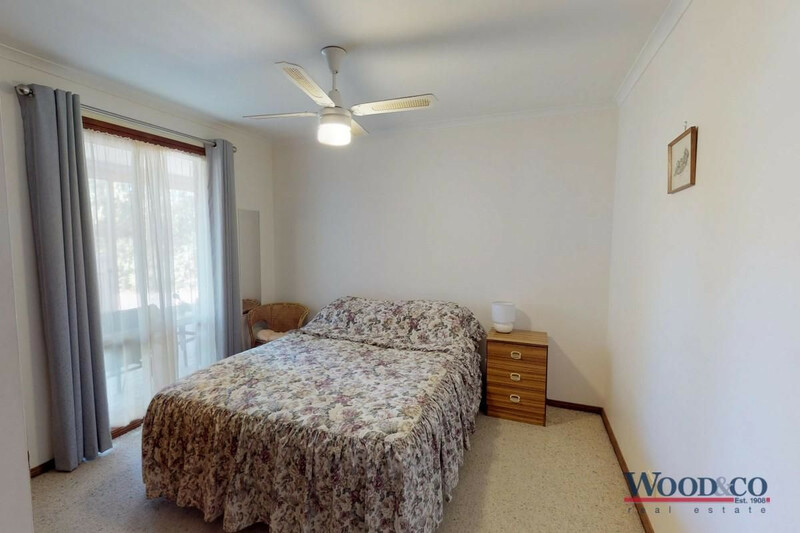 You will stay cool all summer under the ducted evaporative cooler (supplemented by a large split-system reverse-cycle air conditioner in the kitchen-dining room) and the shady, paved alfresco area allows you make the most of Swan Hill’s favourable climate. 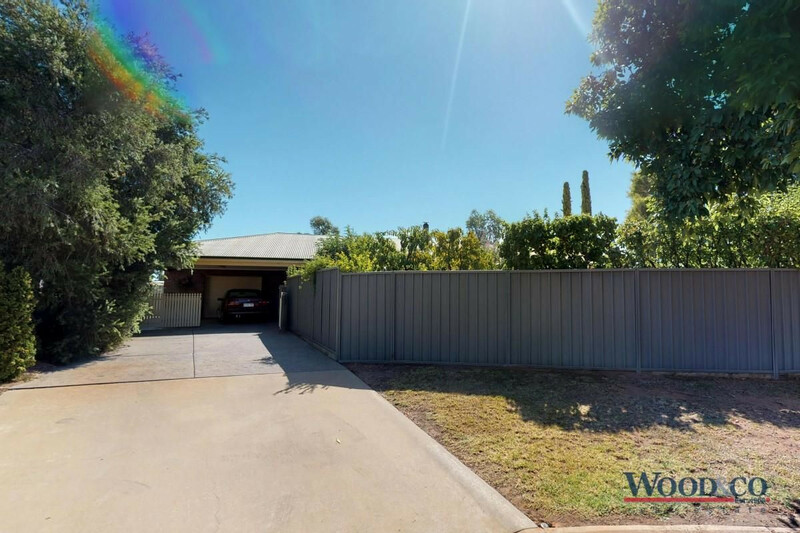 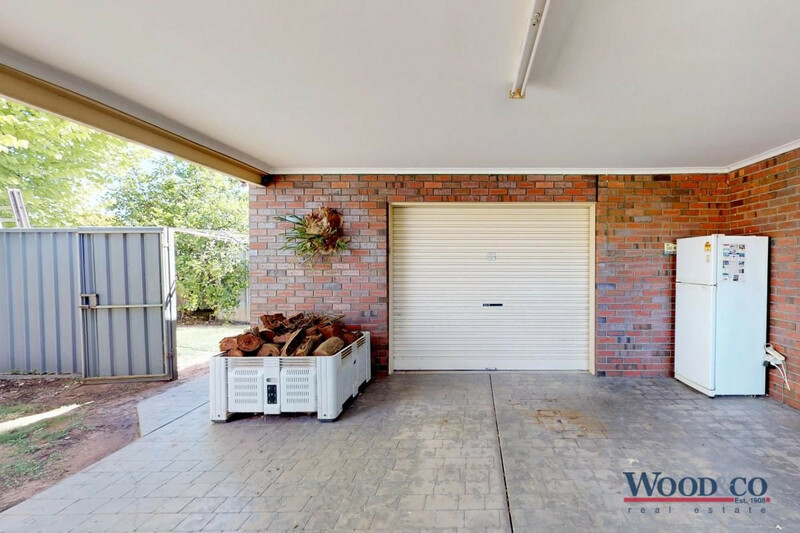 With convenient side access from Holland Court, the double carport provides secure cover for cars in front of the lock-up garage – which could double as a multi-purpose room. 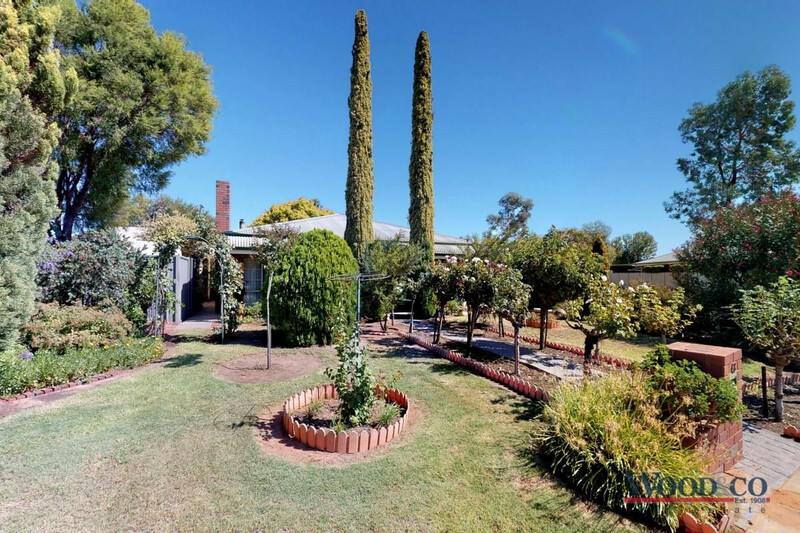 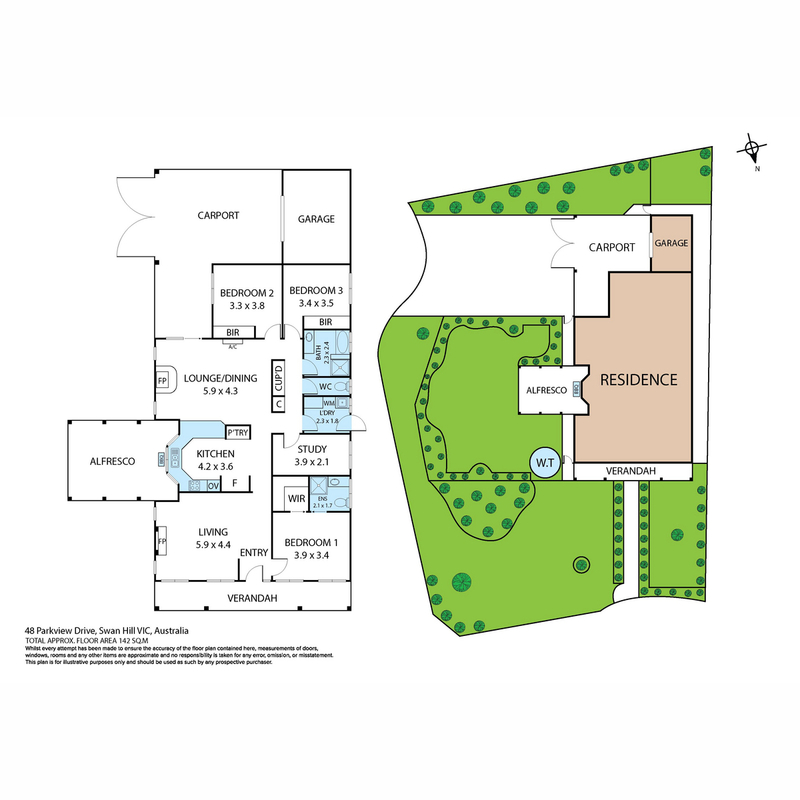 The established trees and shrubs will allow you to relax and enjoy life in the privacy of your own natural garden and yes, you will be allowed to pick the roses.